When you buy the Gold Plated jewerly you should know that you are not buying a (pure) gold jewelry. 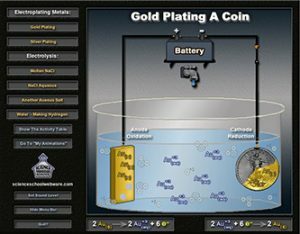 The Gold Plated jewelry is containing the base metal, copper or silver, covered with a thin layer of gold. Amount of gold plate varies from designer to designer. The significance and value is actually raising as most of the Gold Plated jewelry are very well designed, fashionable and durable to wear. Pieces plated with a certain metal are usually cheaper than the ones made entirely from it. For example, Gold Plated jewelry will cost less than an analogous piece made mostly from gold. So, if money is an important consideration, you might want to go with plated jewelry. With Gold Plated jewelry you can always find a mark. Which makes easier to distinguish quality and type of the plate. For example the mark 24K gold plated jewelry means that the gold layer is electroplated and the pureness of gold used is 24K. This process makes the Gold Plated jewelry piece more durable and easier to wear even with more sensitive skin. In the event that you need to have the luxury feel as that of real gold jewelry without bearing its weighty expense, then Gold Plated jewelry is a good option. It is significantly less expensive but has a striking resemblance as real gold jewelry. 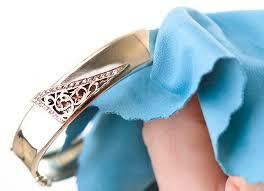 To avoid gold plated jewelry from discoloring and keep it shiny, use baking soda or toothpaste for cleaning. After deciding which one you use for cleaning the items, put it on a toothbrush and begin scouring the jewelry with it. The swarms of the toothbrush will help you in cleaning the sections that the Gold Plated jewelry may have. As the toothbrush cleans the grime and soil sticking to the jewelry, it would start to turn black or dim. Always have in mind to handle the brushing process very gently. We are recommending to use kid’s toothbrushes as they are gentler for the surface. Once you implement scouring the jewelry, with lightly warm water flush off the baking soda or toothpaste from it. Next step is to place Gold Plated jewelry in a delicate and dry fabric and gently polish. Clean all the dull spots on the jewelry by rubbing them inside the fabric with your fingers.